It has been a month since my last post... I had totally intended to do this sooner... but it never happened. 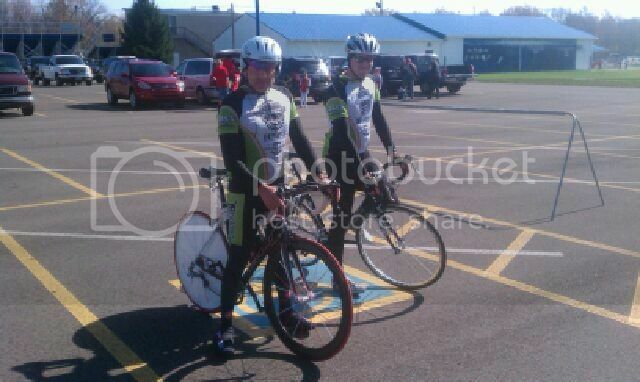 Let's see since my last post was the last Colavita Time Trial, the Crankenstein race and my first indoor time trial. 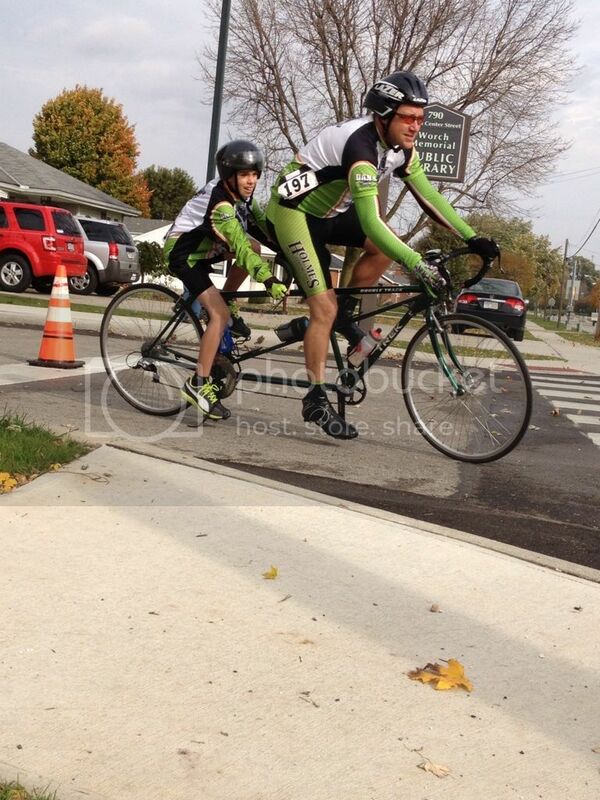 I have to say the Colavita Time Trial series was great this year. 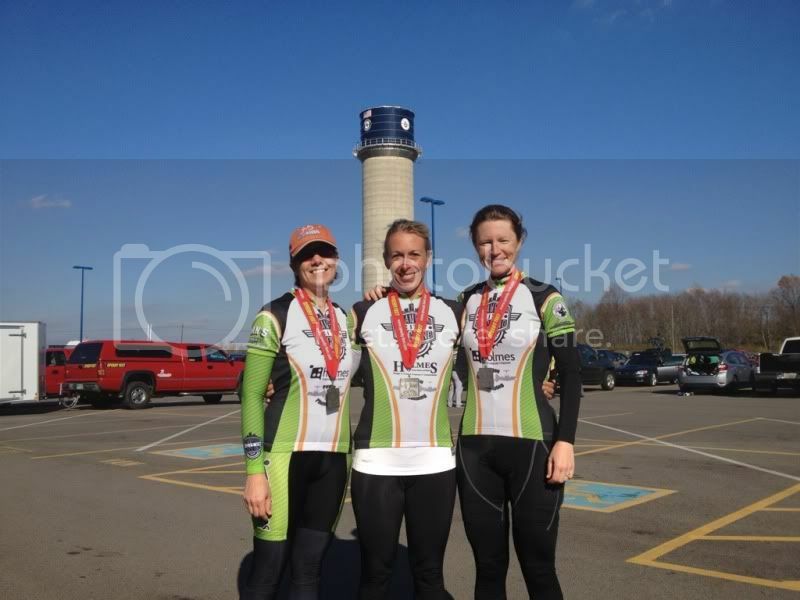 I did more races than last year but still would have liked to do more. They do take a time commitment to get there and with kids and working around the Church and Sunday School thing it is tough. That being said, I think they are by far one of the best race series around. The bang for the buck is great, the friendliness of everyone (participants and workers- great family environment), great courses, etc. If you have never done one of these before, consider it. They are low pressure and if it is your first that is a great thing! I would like to Thank and Congratulate Roger, Christina and their whole team, you do a great job and your hard work does show in the races! Next year I promise to do more races! 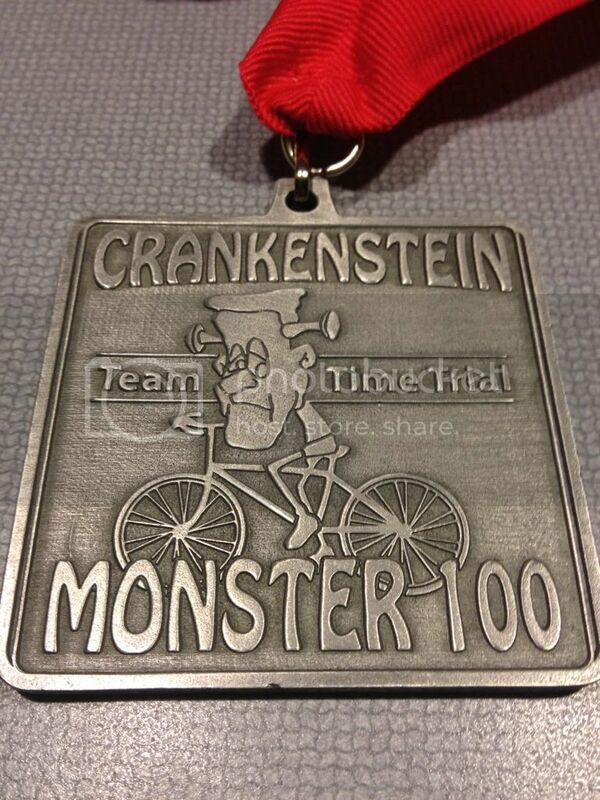 Next up was the Crankenstein Time Trial by Speedyfeet. I had heard about this in years past but never got a team together to do it. This year was different. Champion City Cycling had a total of 3 teams going, and I was on one. 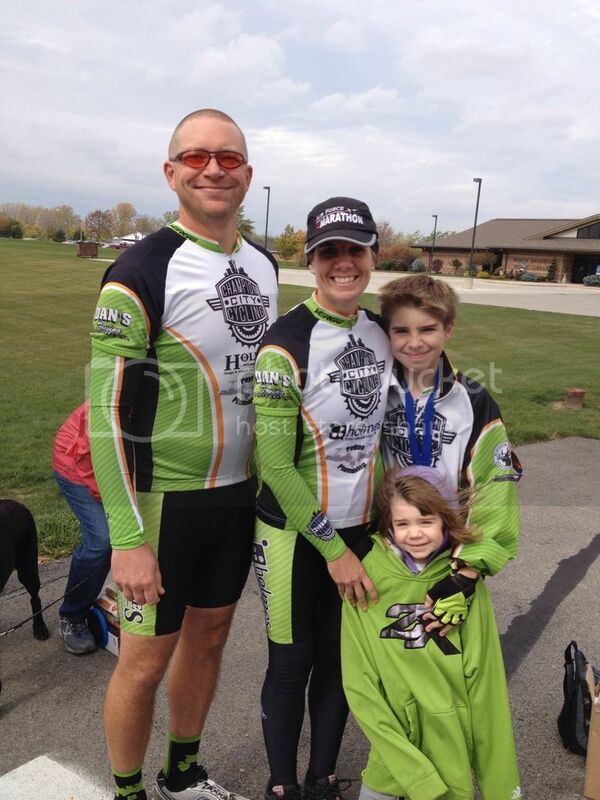 If you don't know what the Crankenstein race is..... it is a 3 person timetrial for 99 miles. Each team member goes out and does 22 miles individually then all 3 people go out together to complete the last 33 miles together. So rider 1 goes off then when done rider 2 goes off... then when done rider 3 goes off. Then when the 3rd person is done they all go out together to do the last 33 mile leg. So the 3rd person essentially does 55 miles all together with no break. 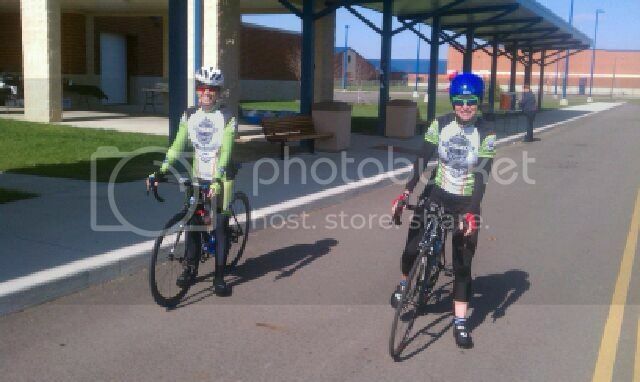 They also have individual classes too.... either a 22 miler solo or the 99 mile solo (insane)! It was a great time! The weather turned out absolutely perfect for it. I would recommend this again! Thanks Jeff for the race! 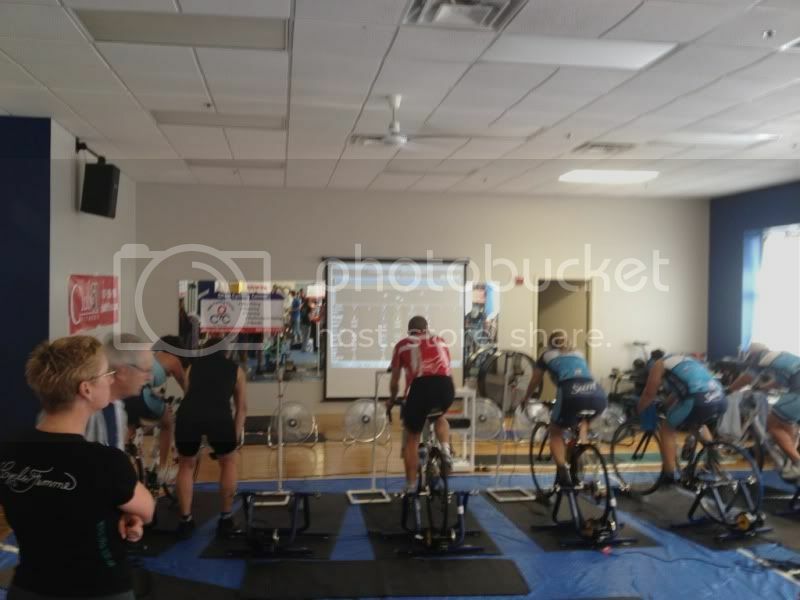 I did my first Indoor time trial of the year this weekend. Yes you know just the other day when it was still very nice outside....ha! Anyways... I got down to Club51 and brought my bike and trainer and warmed up for about 20 minutes and then it was my turn to race. I did the 6.2 mile bike course in 16:52 - a new PR (beat my previous best time by about 40 seconds, increased my average wattage by almost 30watts too). And originally Carisa had planned on going and trying this too but she got sick and wasn't able to make it so I raced in her place in the next race. Doing it again I finished just 10 seconds slower than before.... not too bad. But did that mean I had more left I should have been using in the first race? I need to drop more time... I hope to break out of the 16 minute range this season... that is my goal. Thanks to Paul R, and to Team Dayton for putting this on! It is also very family friendly and talking with people there, they do not care what team you are on... just that you are coming out and having fun! Thanks for the great atmosphere and event!